This year is your chance to choose the top restorer of 2017. All of the restos we featured throughout the year are here, awaiting your vote. The winner will be crowned Practical Classics Restorer of the Year and will win the coveted Golden Spanner award, which will be presented at the Practical Classics Restoration Show (March 23-25). It’s a competition like no other – just to be on this list means they’re the cream of the crop – so choose the winner and help celebrate their greatness. 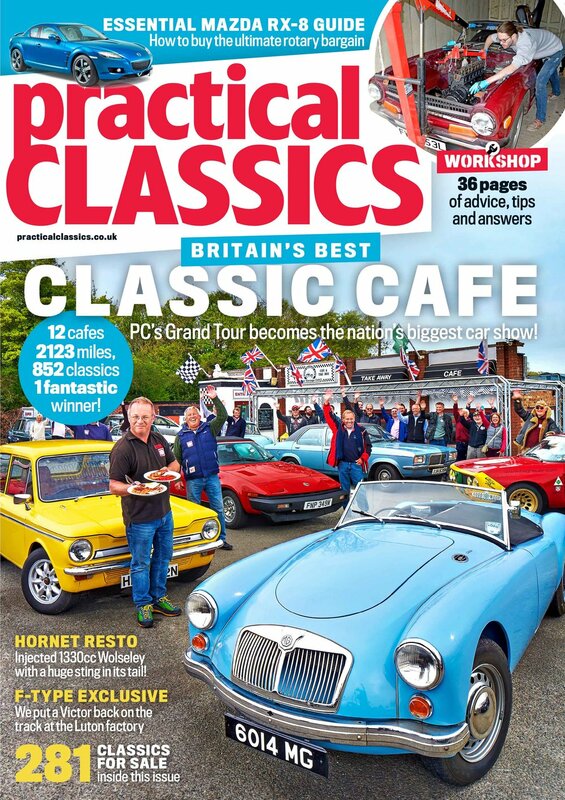 The winning car will be on display on the Practical Classics stand at the show. Our 20 resto finalists are listed below. Simply choose your favourite and click the vote button below your preferred car's image before March 4. 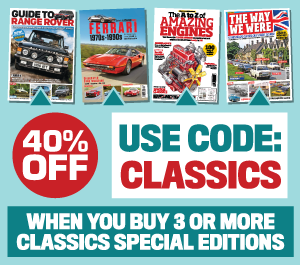 The button will automatically prompt you to send an email to ROTY@practicalclassics.co.uk. Please enter the number and name of car in the email subject line. For example: 1 BMW 2002TII. Please also note, only one vote per email address will be counted. Pulled out a garden and totally rotten, Jamie's smart BMW took a decade to restore, against a backdrop of personal challenges. A couple of courses gave dave the skills and confidence to tackle his Anglia as a rolling restoration, with a few subtle upgrades aded, too. What does a Vauxhall chief mechanic do when he retires? Why, restore an early Gilbern invader over 18 months of course. A twice-abandoned complex project finally gets completed over the course of 12 years by an enthusiast inspired by his father. Our real life Q, who took a decade to completely rebuild the 30th Lotus Esprit ever made into a car James Bond would be proud of. The aspirational tale of how a £30 BSA eventually resulted in fab Ferrari 275, with a great deal of work and trading up involved. Granada enthusiast Andrew had owned several examples but really wanted a Ghia X. he found one, but it was a big task getting it right. Colin bought his little Fiat as boxes of bits. His family helped put him back together in time for the fiat 500 birthday party at Goodwood. Issue: Dec 2017. Owner: Kevin Burns and Eric Marshan - Kevin's Cortina was so rusty, he put it up for sale. But then his 81-year-old neighbour Eric pitched in to help him turn things around. After 24 years of wanting a GT6, what john got was a car requiring a lot of work. But he knuckled down and totally transformed it. The duo who took a Triumph Roadster that hadn't moved for 30 years and made it into a machine worthy of the Triumph name. Issue: July 2017. Owner: Michael Shearer There was never a performance version of Wolseley's Hornet. So Michael thought he should create one, with a 1275 Cooper S engine. All teenager Alex knew about Morris Marinas was that Top Gear liked dropping pianos on them. He did something more worthwhile. Matt wanted a Bond Bug since he was 16. But when he got one, it was damaged and botched, and he had no experience with glassfibre. then James asked Gary for his daughter’s hand in marriage. Teenager Tobias became a classroom legend by restoring the Mini he bought when aged just 13... and then driving it to school. Issue: May 2017. Owners: Alan Stepney. Even with a string of restorations already behind him, alan's rare 13/60 estate proved to be a corrosion-riddled challenge. After 30 years in a New York garage, Ray repatriated a rather rusty Austin-Healey and gave it a new lease of life in its homeland. Restoring an Eighties hatch would be a challenge at the best of times. But Sean and Lee had only a three-week window to get the job done. When Brian bought his Gt6 new back in 1972, he probably didn't plan on spending some of his retirement beautifully restoring it. Voting will close on March 4th. don't miss out, vote now!